Rental of 8.4 MW Gas Power Generation Plant and related services for Lafarge Cement (WAPCO) Plc., Shagamu Cement Works. Rental of 100 MW Diesel Power Plant to the Government of Uganda in cooperation with Aggreko International Limited. 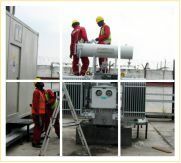 Operation of 8 MW Group owned Gas /Bi-Fuel Power Plant at TAFL / Port Harcourt. 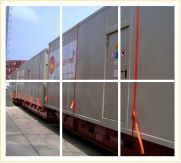 Rental of 1.6 MW Diesel Generator Power Plant for APMT Terminals/Apapa Port. Development of 100 MW Grid connected Gas Power plant under JV company Agbara Shoreline Power Company Limited at Agbara Estates.